Gordon Gekko had one. Patrick Bateman too. No, we are not talking about an oversized ego, but rather an oversized mobile telephone. 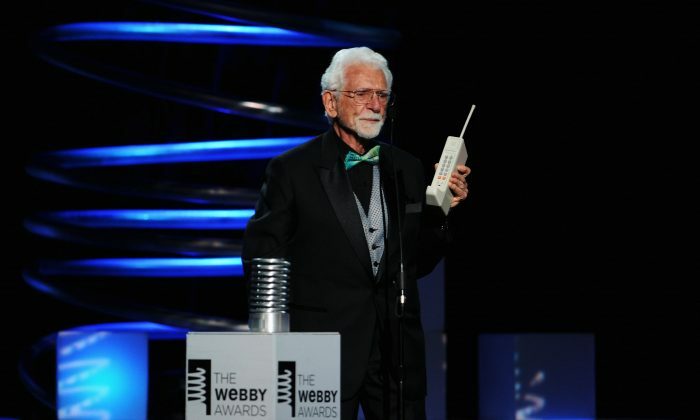 The Motorola DynaTAC 8000x was the first cell-phone manufactured for the public and celebrates its 30th birthday this summer. Motorola developed the brick-sized phone from 1973 to its first presentation in the summer of 1983 at a cost of $525 million in today’s dollars. While being portable in principle, the dimensions of 13 x 1.75 x 3.5 inches and weight of 28 ounces were gigantic. In addition the price of $3,995 ($9,363 in today’s dollars) made sure that only rich and famous people could afford one. The technological specifications also left a lot to be desired. The battery lasted for about one hour of talk-time and eight hours of standby, not much in comparison to today’s smart phones. Nonetheless, Motorola’s marketing people saw their vision of the “cellular revolution” to be true in the long term. “Eventually seeing people using cellular phones may seem as commonplace as someone checking time on an electronic watch, figuring on an electronic calculator or programming on an electronic computer,” a TV commercial boldly claimed in the beginning of the 1980s. In fact, most people today use their smart-phone as a calculator and electronic watch, only the computer remains, though it looks a bit different from the one seen in the video. Responsible for its development was the team of engineers around John F. Mitchell and Martin Cooper. At the time of his retirement in 1998, two-thirds from Motorola’s $30 billion revenue came from mobile and related services, according to Time Magazine. “The first phone literally cost what today would be $1 million, we had to virtually shut down all engineering at our company and have everybody working on the phone and the infrastructure to make the phone work,” Cooper told the BBC.